The holidays can evoke a range of feelings – everything from excitement and glee to sadness, loneliness, and anxiety. 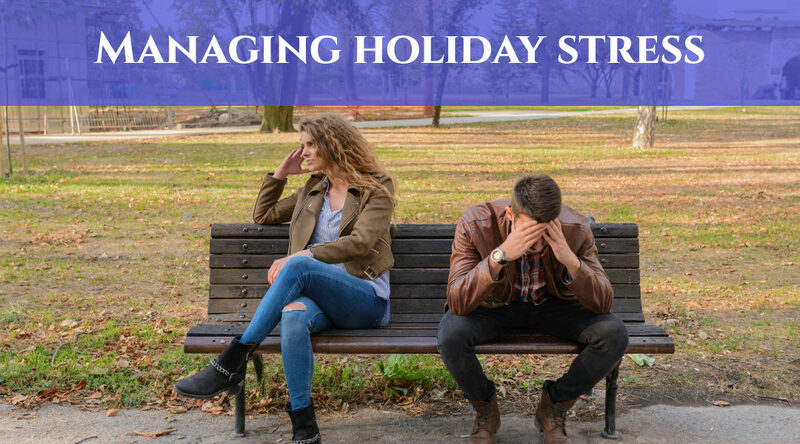 Many people experience stress during the holidays, but the following may help make the season a bit brighter. Many people experience sadness or loneliness during the holidays. One way to combat these feelings is by shifting your focus. Rather than focusing inward, search outward for a greater sense of meaning and purpose. Whether you help serve a holiday meal at a food kitchen, volunteer at a local shelter, or donate money to your favorite charity, giving back to your community can help you feel a sense of engagement and fulfillment. You may be surprised by how many lives you touch! Gratitude lists help us appreciate what we already have. During the holidays children (and even some adults) compose “wish lists,” but very infrequently develop gratitude lists. During your next holiday gathering, consider asking your friends and family to compose a gratitude list. Take turns sharing your lists with one another. This simple exercise can help get you into the holiday spirit and bring your attention to what truly matters. For many individuals, debt is synonymous with stress. Help reduce stress by planning ahead for the holidays, developing a budget, and sticking to it. If your child wants to exchange holiday gifts with friends or family, consider giving him or her an allowance for completing age-appropriate household tasks. Discuss the value of money with your child, and help him or her develop a holiday budget. Depending on the age of the child, he or she may require assistance identifying and selecting gifts that fall within budget. Your child will likely feel a sense of pride for having earned the money, and you will have taught your child an early lesson in giving. DISCLAIMER: This is for informational purposes only, and should not be considered therapy or any form of treatment. The author is not able to respond to specific questions or comments about personal situations, treatment, or otherwise provide any clinical opinions. If you need immediate assistance, call 911.